As many golfers know, tucked in the southeastern corner B.C. is a narrow valley carved by the Elk River that is home to the mountain communities of Elkford, Sparwood and Fernie. Though world-renowned for skiing, the Elk Valley shines in summer as home to golf courses nestled beneath the stunning peaks. Golfing in the Elk Valley is a pursuit with its own challenges: you may have to share the greens with some of the wildlife that makes its home in this place often called the Serengeti of the North. Tee time can mean the beginning of an adventure as you follow the contours of well-designed golf resorts as they hug the towering mountains. 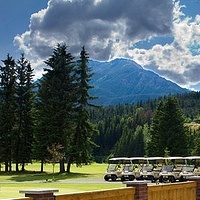 Put some drive in your Lake Koocanusa vacation this summer by visiting the area’s many golf courses. Cindy and Fong opened their restaurant at the Elkford golf course back in 2010. Mel Dies, general manager and CPGA head professional at Fernie Golf and Country Club, talks enthusiastically about the course, comparing it to the golf haven of Kananaskis Country in Alberta. This 9-hole Elkford course is a place where all can come to enjoy the game. 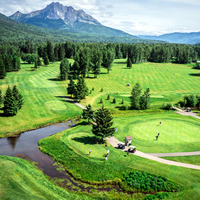 There is no doubt as to why that the Fernie Golf and Country Club is such a hot spot in the Rockies: luscious greens, silica sand, varied terrain and an immaculate view of the mountains make this an excellent place to swing your clubs.